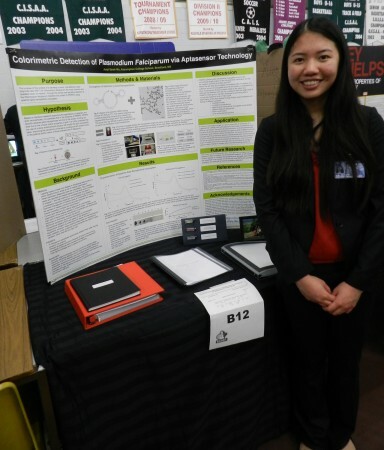 Dr. Bowdish and members of the lab attended the 53rd annual Bay Area Science and Engineering Fair (BASEF) as merit and special award judges on Thursday March 21st. All members of the lab were blown away by the sheer volume of young scientists and the incredible effort these students put into their projects. Bowdish Lab members judged projects focused on Health & Life sciences. Dr. Bowdish and Dr.Mossman judged for the IIDR Summer studentship, a 6-week summer internship in the IIDR, which is one of the most sought after prizes at the science fair.vWe are all looking forward to the 54th BASEF fair. Eisha Ahmed (Abbey Park High School, Oakville) presents her award winning poster “Ara h Proteins, Peanuts, and Parasites”. Eisha was the winner of the IIDR summer studentship and will be back at McMaster learning bioinformatics this summer. Sarah Wu won second place for the IIDR summer studentship for her very impressive project developing a novel diagnostic for malaria. 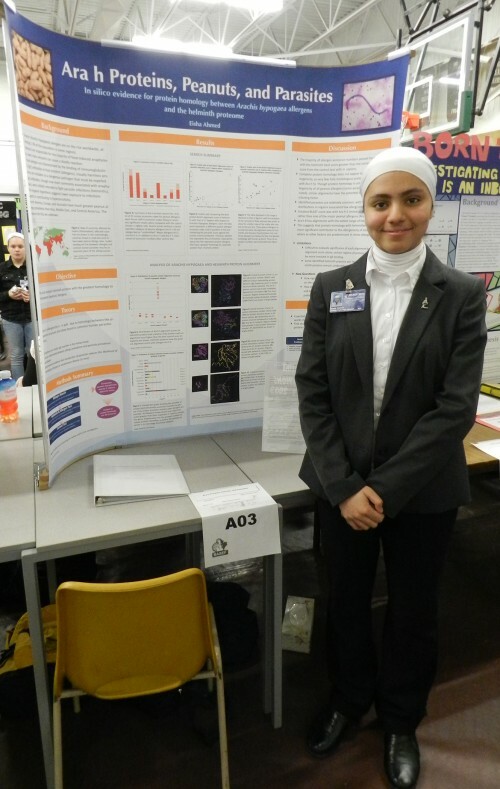 This entry was posted in News and tagged BASEF, IIDR, poster, science fair, summer student by Dr. Dawn M. E. Bowdish. Bookmark the permalink.